What is a Succulent Plant ? 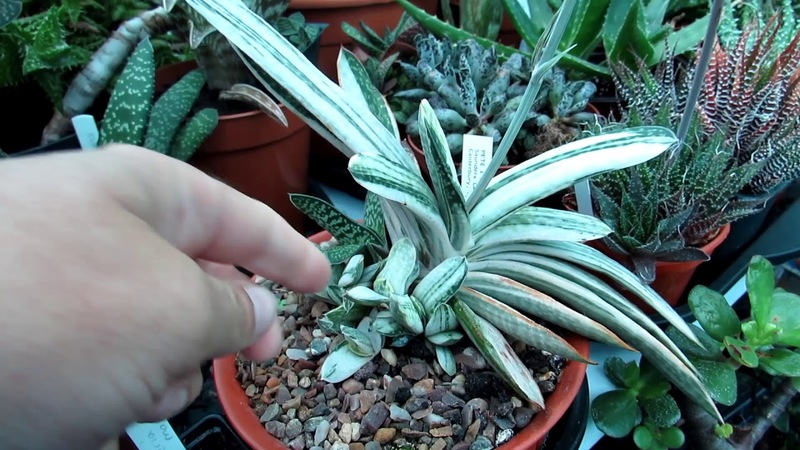 What are Gasteria Plants ? Gasteria is a genus of succulent plants that is native to South Africa and are related to the Aloe, Haworthia and Sansevieria family of plants. Gasteria includes around 80 different species and they are known for their beautiful very striking tongue like leaves that can vary in size from small and compact leaves to long and and tongue like. I have made a detailed How To care for Gasteria video for my cacti and succulent You Tube Channel called Desert Plants of Avalon and also a video on repotting Gasteria and I have shared the links to these videos at the bottom of this Blog. My Variegated Gasteria with offsets ‘babies’ forming all around the base, these can be detached with a sharp clean knife and potted up as little individual plants. Gasteria like to be grown in a position that receives plenty of bright natural light but these plants prefer to be away from strong direct sunshine and a position that receives part sun or indirect sunshine is best for growing these plants. Too much sunshine can make the leaves on these plants turn yellow or red. If you are growing Gasteria as a houseplant its advisable they are placed in a bright position away from strong sunshine, and a window that receives some part sun for example morning sun that is not too strong is best, avoid afternoon sun in a south facing position in a window or if only a south facing position is available then you can cover the window with a shade cloth or net so the plant receives dappled sunshine. Gasteria can take plenty of water during the warm Summer months but its very important to always allow the soil to totally dry before watering again. Like most Succulents these plants like to have a winter rest period where watering should be reduced to a bare minimum. I stop watering my Gasterias almost completely from October until mid March but I do still give a small amount of water to them once every 6 weeks but I grow mine outside in a heated polytunnel that is kept cool at around 7 Celsius / 45 Fahrenheit, but if you grow yours inside a house that is kept at a normal room temperature its best to give a small amount of water once a month to prevent the plants shrivelling, however its best to only water very lightly as watering these plants during Winter can encourage them to grow lanky and stretched out and at the worst case rot at the roots. Clean Rainwater is always preferable to tap water if possible, but these plants are pretty hardy to tap water. Gasteria like most succulents can take high Summer temperatures but if you are growing these plants indoors or in a greenhouse or polytunnel its important that plenty of ventilation can be given otherwise these plants can ‘cook’ in temperatures above 100F without fresh air. In Winter its best to keep these plants at a minimum Winter Temperature of 7 Celsius / 45 Fahrenheit but they can take slightly lower than this for brief periods but never any lower than 5 Celsius / 41 Fahrenheit as these plants can not take any frost at all, but ideally these plants are happier kept above 7 C / 41 F in Winter. Ideally 10 C / 50 F is a safer temperature in Winter if it can be provided and a cool unheated but bright room to overwinter them without heating would be best as keeping these plants on the cool side in Winter encourages blooming in the Spring and Summer. Gasteria like to be planted in a well drained soil mix and a cacti and succulent soil is ideal for these plants. I usually make my own soil mix up of 1 part loam and 1 part grit and 1 part horticultural sand but any good quality well draining cactus and succulent mix will work well for these plants. Gasteria have thick and very fleshy white roots that often die back every few years and new ones form, because of this its important that all the dead dried roots are removed every time you repot them. When I re pot my Gasteria’s I will cut off the dried dead roots and leave the plants out of their pots overnight before I pot them into their new pot and soil media, I do this to allow any roots that may have got damaged from trimming the dead ones to callus over, this prevents the slight possibility of root rot, this is not a necessity but its something I prefer to do and would personally recommend. Here is a video below I have made for my cactus and succulent You Tube channel called Desert Plants of Avalon on How I repot my Gasteria and Haworthia and Aloe plants with their fleshy big white roots, and in the video I show my Haworthia as an example but this also applies to Gasteria. Gasteria can be fertilised with any good quality cacti and Succulent fertiliser from spring until late Summer, and I usually fertilise my Gasteria with every 3rd watering that I give them from April until early September. Gasteria’s are called Gasteria because of the shape of their flowers resembling the shape of a Stomach as ‘Gaster’ means Stomach. Gasteria propagate by sending out little offsets or ‘babies’ that form in little clusters around the Mother plant. These offsets can be left to cluster all around the Mother plant or they can be detached by using a sharp and clean knife and potted up into their own individual pots. Occasionally a little offset will form along a flower stem where a previous flower has been although this is not common and much more rarer, but I did have it happen to one of mine a few years ago and I had this happen also with a Haworthia. Gasteria can also been grown from seed although this is a lot more time consuming but definitely very rewarding and fun to do especially if its from seeds from your own plants. Here is a video I have made for my Cactus and Succulent You Tube channel called Desert Plants of Avalon on How to Harvest Seeds from Gasteria and you can watch this video below.